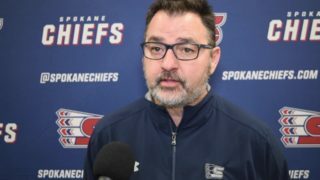 SPOKANE, Wash. — The Spokane Chiefs saw their four-game winning streak snapped on Friday night as they fell to the Vancouver Giants, 6-4. 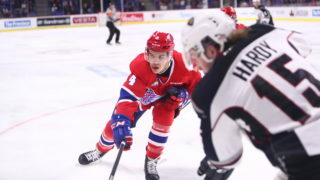 The Chiefs managed just six shots on goal in the second frame while Vancouver rattled off three-straight goals, including two by winger and team captain Jared Dmytriw, to take the 4-3 lead through two. All three of the Giants’ goals in the period were at even strength. 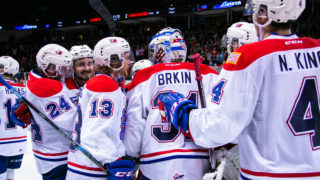 The Chiefs were able to tack on another score early in the final period to tie it up at 4-4 on a Filip Kral goal, but it wasn’t enough as the Giants added on two more goals, including an empty-netter, to make it 6-4. Davis Koch scored the game-winner on his way to second star honors. 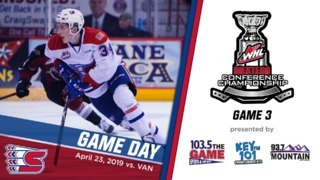 Spokane’s Bailey Brkin finished 29-for-34 in the net while Vancouver’s David Tendeck recovered nicely from a rough first period to end the game 23-for-27. 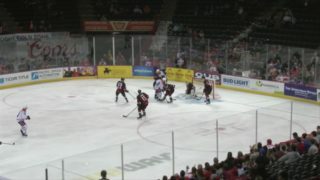 The Chiefs went 3-for-3 on their power play opportunities while holding the Giants to 0-for-1. 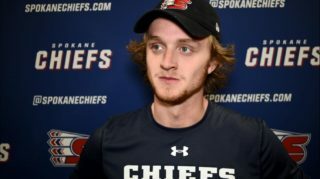 The Chiefs return to the ice Saturday, January 19 when they face the rival Tri-City Americans on General Store Buck Night & Jersey Rally Towel Giveaway! The first 5,000 fans through the gates will receive a rally towel modeled after the military-themed jerseys the Chiefs will be wearing throughout the game for Military Appreciation Night. Fans will also be able to purchase $1 hot dogs and Coca-Cola beverages at various concession stands throughout the concourse all through the night’s game.